As luck would have it, today is one of our favorite holidays: May the 4th (be with you). Kohina, go. Oh! Also, it’s Golden Week in Japan! Yay! HAPPY GOLDEN WEEK, JAPAN! In other news, we also with a Happy Thursday. 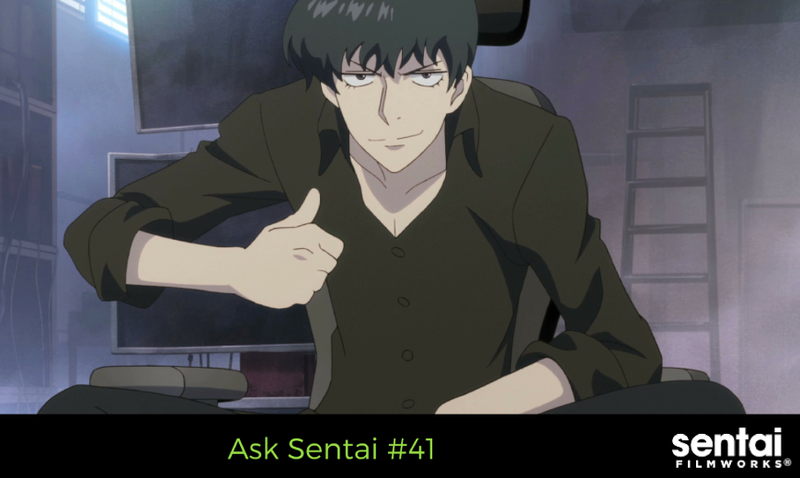 If you have any questions about the industry, translations, products, or more, send it in to Sentai’s Ask.fm. If we CAN answer it, we will. See ya next month! Nopes. We're going to go with the original Japanese title: ATOM THE BEGINNING. Fun show too. Do you guys ever go back and release/redub shows you already released? If so, a SNAFU re-release would be super awesome! While I'm here, I'm going to join the Flip Flappers dub collective, that would be something I'd purchase! Thank you for joining the FLIP FLAPPERS choo choo train. For your other question, in the past, we re-released Maid-sama with a dub, so it's always a possibility. What is probably your favorite anime that is a slice of life comedy that you guys licensed? 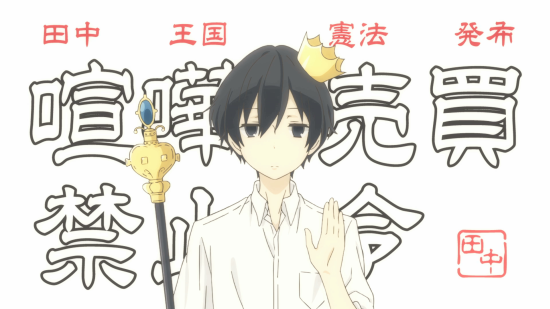 TANAKA-KUN IS ALWAY LISTLESS!!! Actually... it's really hard to choose, but we were watching Tanaka-kun this morning, so we'll go with that. Can we expect some big news at Anime Expo this year now that all of #TheDubsAreComing titles have been released/have a release date? I was wondering why the terminology/names in the Girls und Panzer Anzio OVA dub are different to the series dub; "sensha-dou" instead of "tankery" for example. It's not a big deal but it's a bit of a shame; the series and OVA don't match up. As the audience matures, so can our localizations, hence why words like "chunibyo" and "senpai" can make it into a English dub. The Anzio OVA AND the movie (dubbed around the same time) used "sensha-dou" to be truer to the original Japanese source. We still use #tankery on social media though because it's a fun word. What is the chivalry of a failed knight dub cast? (Also my birthday is coming up) people are waiting for the answer. You'll hear about the dub cast this week. Happy early Birthday. Don't be a Stella with your cake. What's an anime you wish you had licensed? You have so many Premium Box sets now, how could I possibly choose? Choose by your favorites/the ones that have the goodies you like the most. How does the Ushio and Tora box set work and open up, can you post some sort of a scheme or animation?